MCC has awarded five former and current players Honorary Life Membership in recognition of their cricketing achievements. In an Ashes year, it's an Anglo-Australian list featuring Shane Warne, Glenn McGrath, Michael Vaughan, Mark Butcher and Graeme Hick. They all feature on the Lord's Honours Board with the surprising exception of Warne, who took 19 wickets in his four Tests at the ground, but never managed more than four in an innings. His total of 708 Test wickets has enshrined him as one of the all-time greats, however, and he was back at Lord's in 2009 when the Rajasthan Royals became the first IPL side to play in England. "I am so honoured to be granted life membership by MCC, and was really surprised, but very thankful when it was offered to me," said Warne. "Lord's is an amazing place with its history and tradition and to be given such a special privilege really has humbled me." 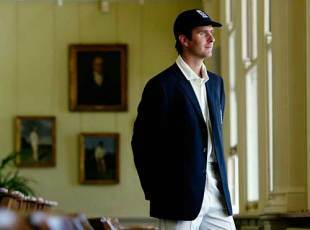 McGrath excelled at Lord's, picking up a five-wicket haul each time he played there and taking his 500th Test wicket during the 2005 Ashes series. Vaughan, England's most successful Test captain, also enjoyed particular success at the ground. He played 12 Tests there - more than at any other venue - and plundered six centuries, averaging over 50. "It is a huge honour and one which I regard as right up there with all my on-field achievements," said Vaughan. "Lord's is a place I have a love affair with, and I will be using my membership to visit on a regular basis!" Hick, who was awarded an MBE in the Queen's Birthday Honours last year, was one of the most prodigious run scorers in all first-class cricket. He made 136 first-class centuries, eighth on the all-time list, scoring 41,112 runs before his retirement. Hick had his name written onto the Honours Board with a century against the country of his birth, Zimbabwe, in the course of England's innings-and-209-run win in May 2000. Butcher, whose finest innings - an unbeaten match-winning 173 at Headingley in 2001 - came against an attack containing both Warne and McGrath, also scored two Test hundreds at Lord's. Honorary Life Membership is granted by the MCC Committee to cricketers, umpires and administrators in recognition of the service which they have given to the game, often over a very long period. There are now more than 300 Honorary Life Members out of a total membership of 18,000.